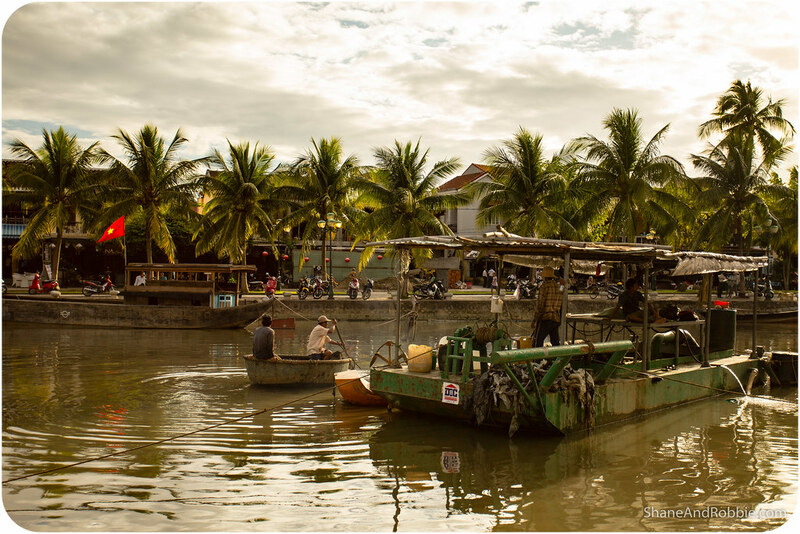 Hoi An is a gem of a town, located on the coast of the South China Sea in Central Vietnam. 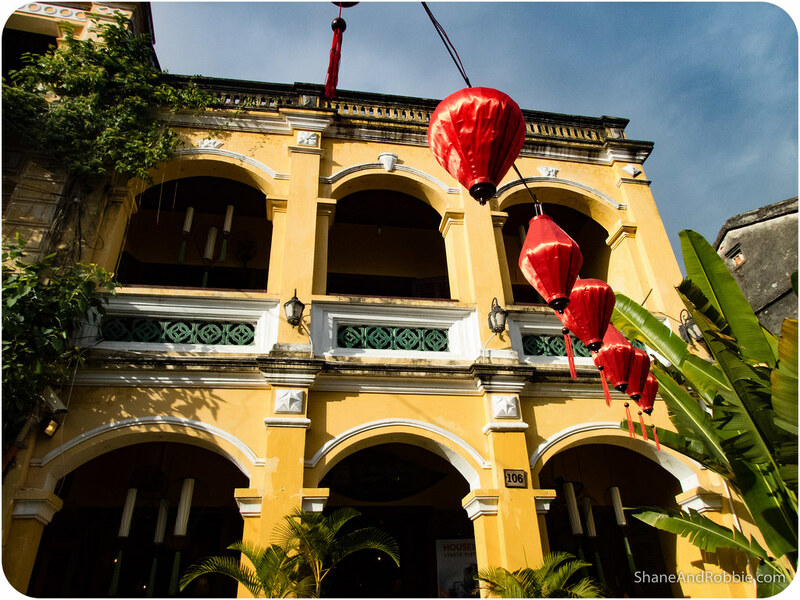 This exceptionally well-preserved city was once a prosperous trading port, the gateway through which Chinese and Japanese merchants came to sell their wares to Vietnam. 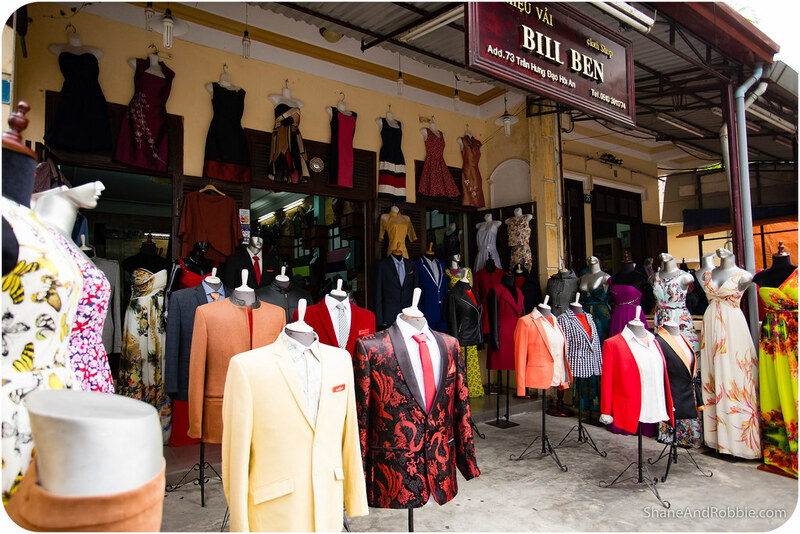 It’s the way these 3 cultural influences blend that makes Hoi An truly exceptional. 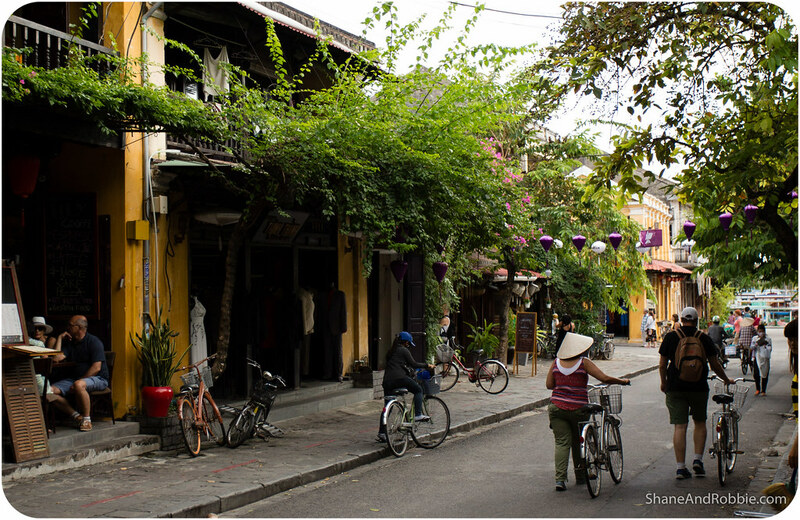 Home to just 120,000 inhabitants, Hoi An’s old town is a UNESCO World Heritage Site and is without a doubt our favourite stop in Vietnam so far! 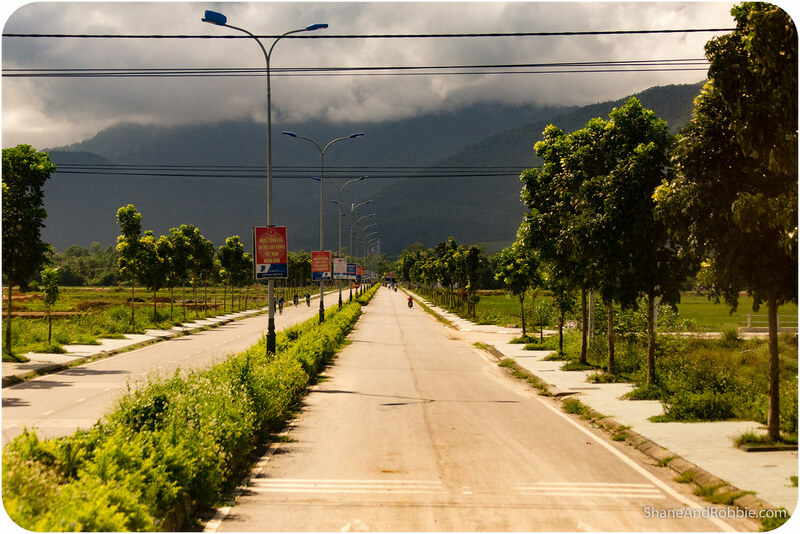 We arrived in Hoi An early this afternoon, after a 4 hour bus trip from Hue across the mountains of central Vietnam. 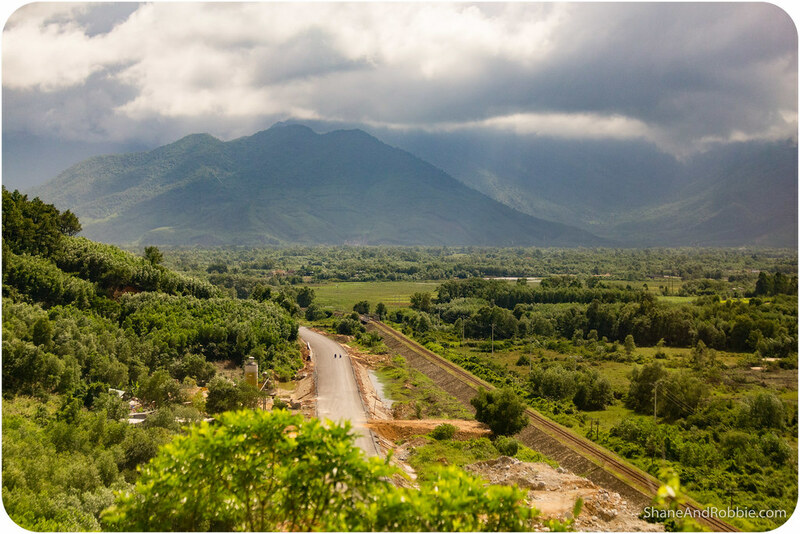 The scenery along the way was an interesting mix of rural fields, villages, and small towns. 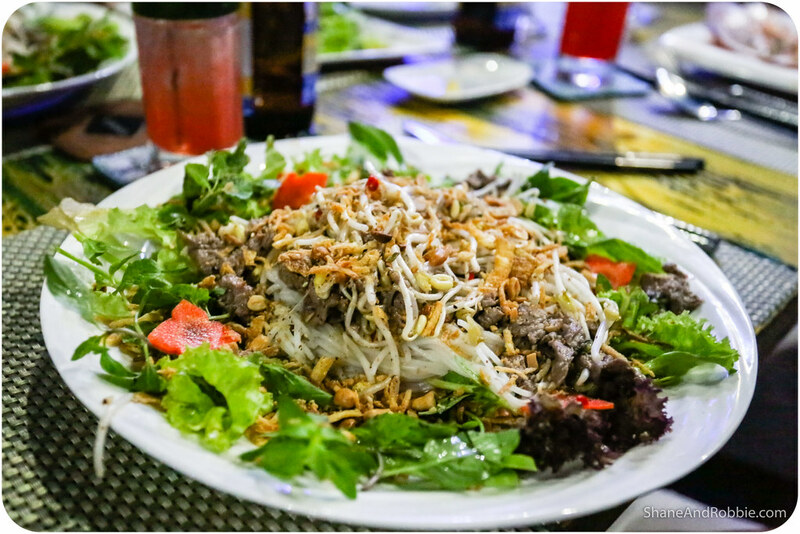 The journey was broken up with a brief lunch stop in Danang, the 4th largest city in Vietnam and a holiday destination known for the white sands of Non Nuoc Beach – formerly known as China Beach. 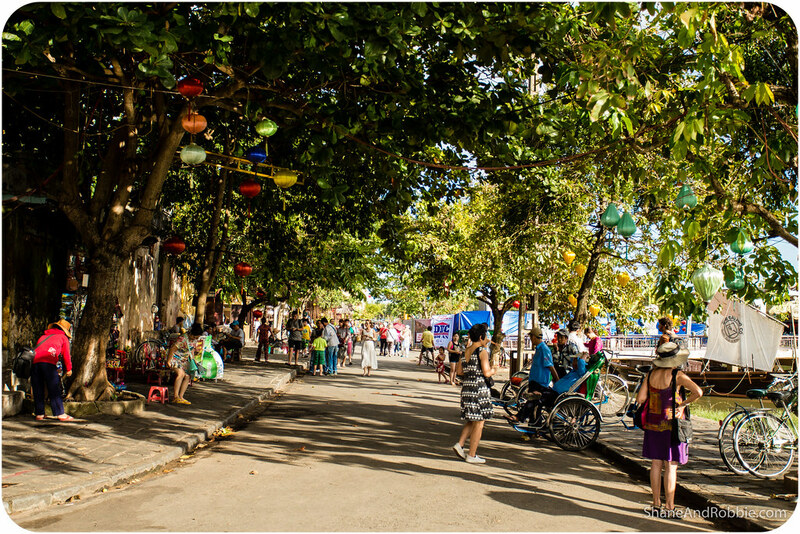 During the American/Vietnamese War Danang Airbase was a major American airbase, and nearby China Beach was home to the 510th Evacuation Hospital where wounded US soldiers would come to recover. 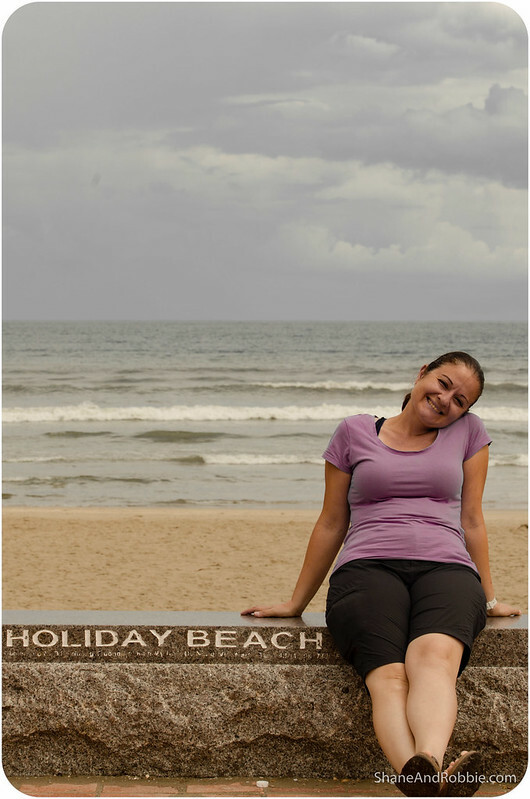 The beach soon gained a reputation as an American R&R spot, and is today a holiday haven for Vietnamese and foreigners alike (not that the beach looked all that appealing when we were there, with steely grey skies looming all around us). 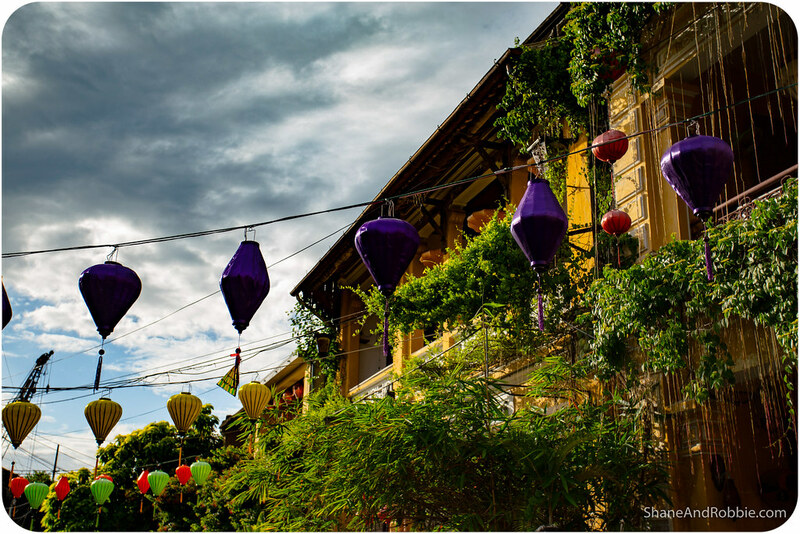 It was short trip from Danang to Hoi An where we spent our afternoon strolling through the streets of the beautiful old town. 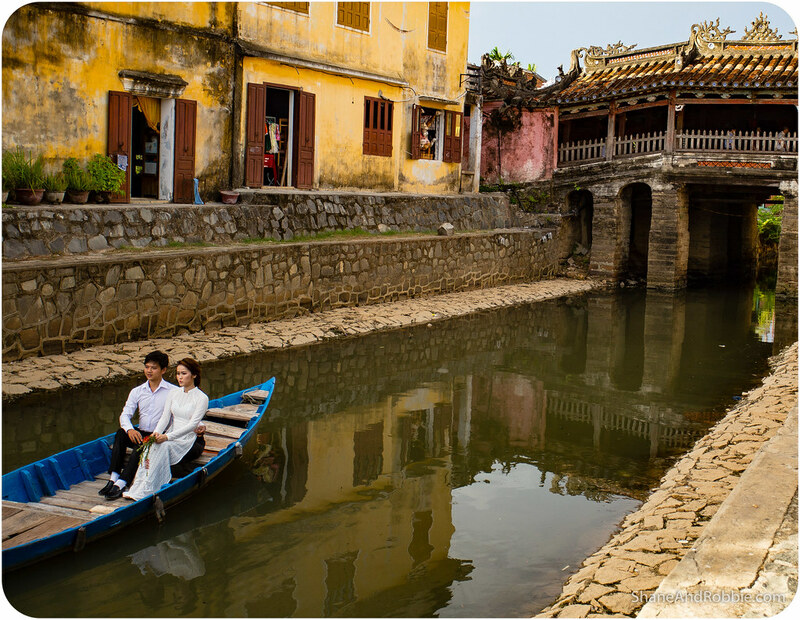 Hoi An’s old town is located along the shores of the Thu Bon River, just 3km inland from the South China Sea. 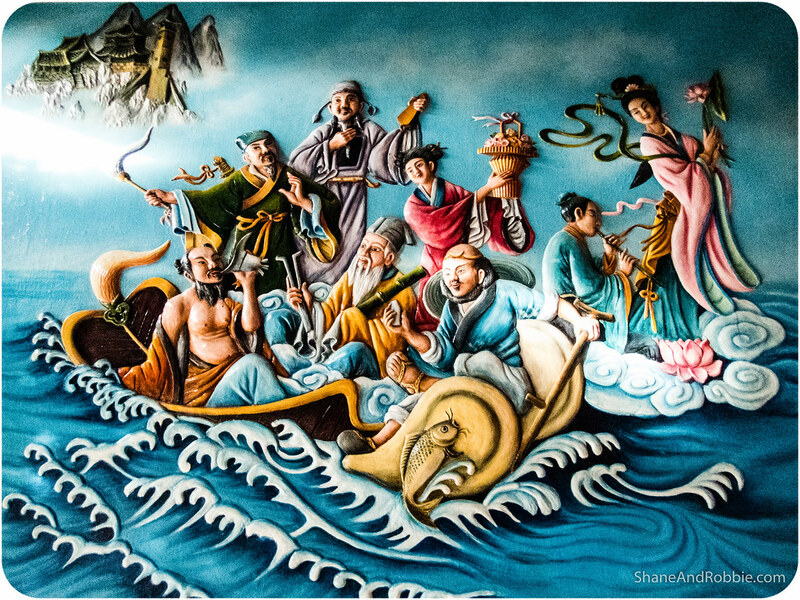 This wonderfully preserved historic town was once a thriving port which traded widely with Dutch, Portuguese, Chinese, and Japanese merchants. 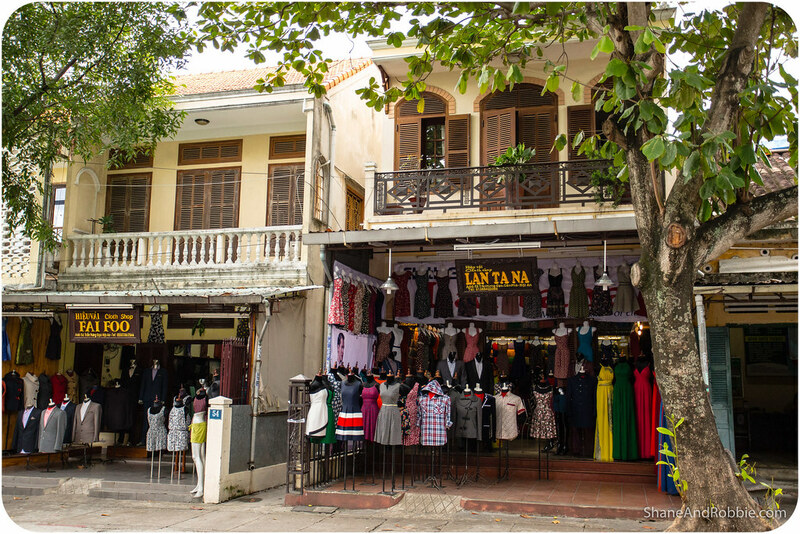 The original street plan remains and many of the original wooden homes too. 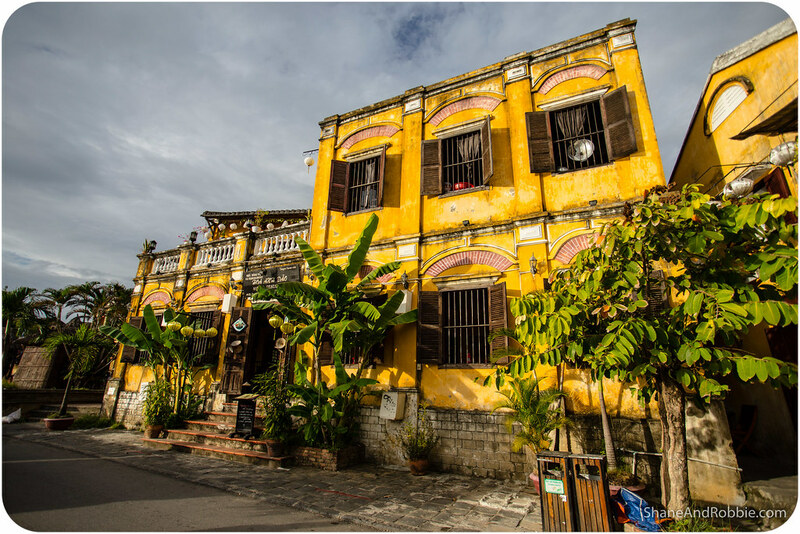 Now painted bright yellow, many of these beautiful old buildings have been converted into souvenir shops, guesthouses, or restaurants, all catering to the 7 million tourists a year that flock here. 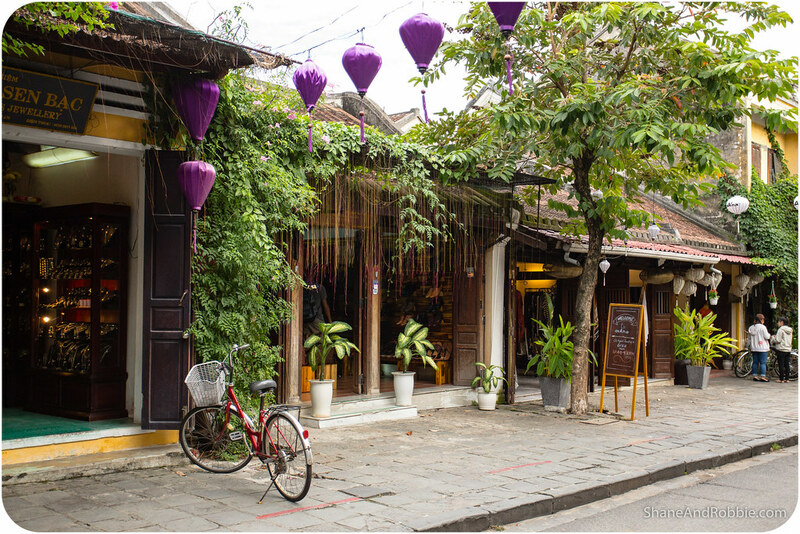 There are over 1,000 timber frame homes, dating as far back as the 16th century, in the old town. 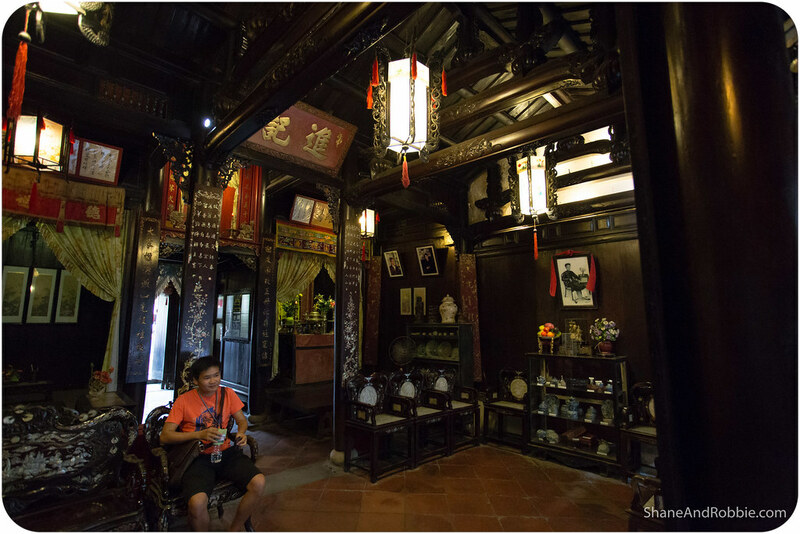 Some of these old homes have been opened up to the public as “living museums*” and can be visited for a nominal fee. 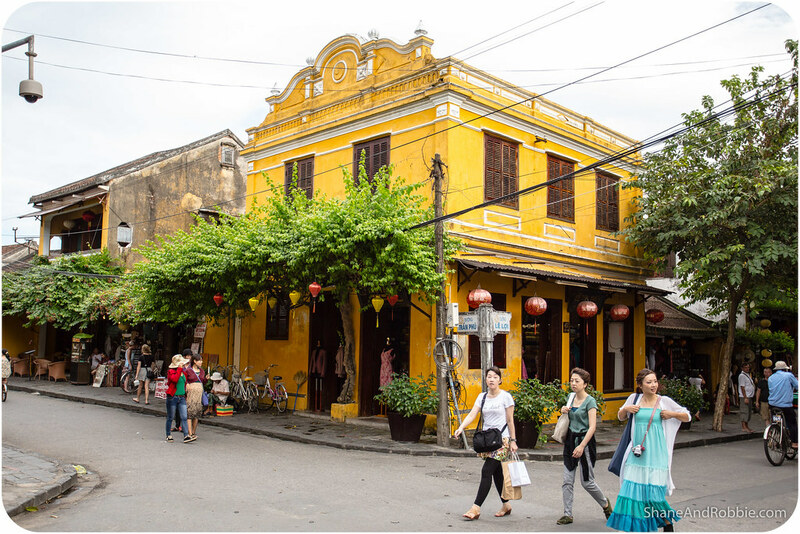 One of these is the Tan Ky Old House, a perfect example of an 18th merchant’s residence in this major commercial port town. 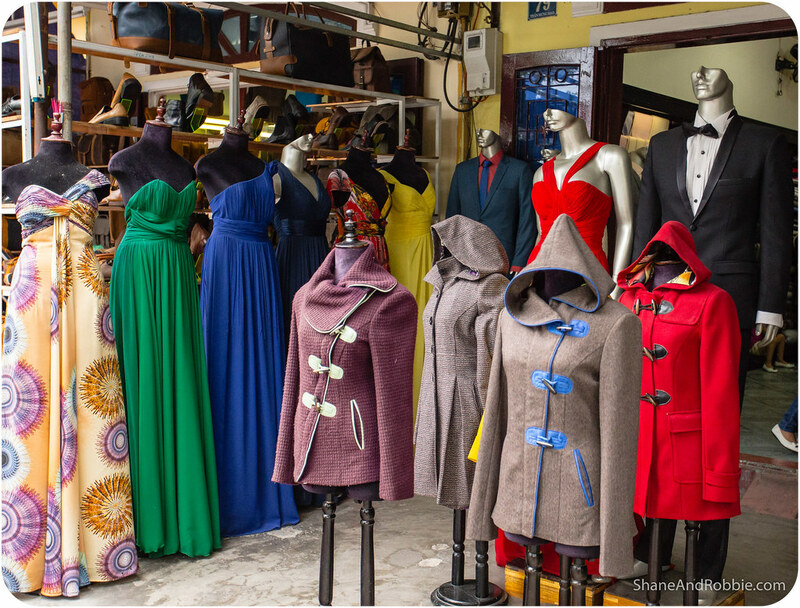 *”Living” because the descendants of the original merchant owners still live in them. 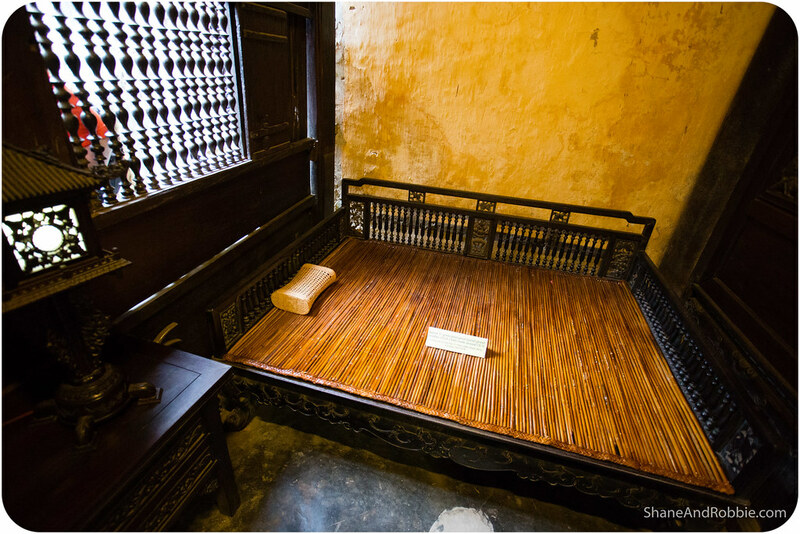 Built 2 centuries ago by a wealthy Vietnamese merchant family, this gorgeous wooden house has been lovingly preserved through 7 generations. 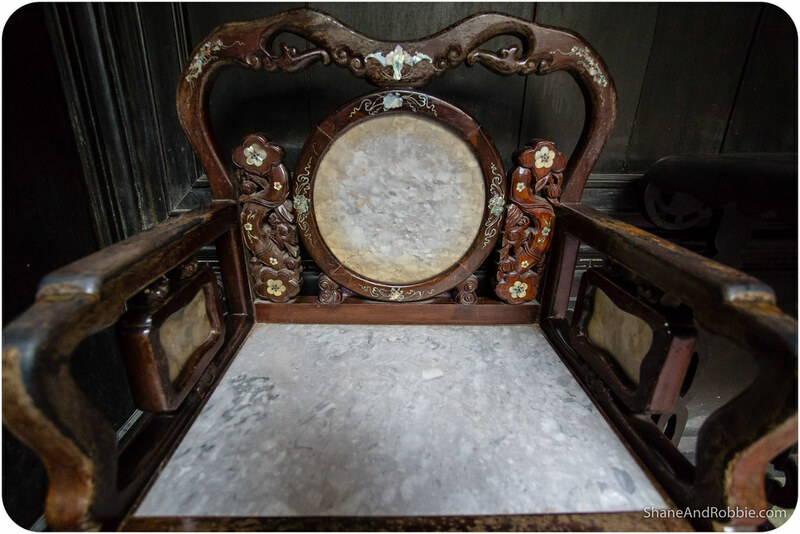 The intricate carvings and mother-of-pearl detailing were quite stunning. 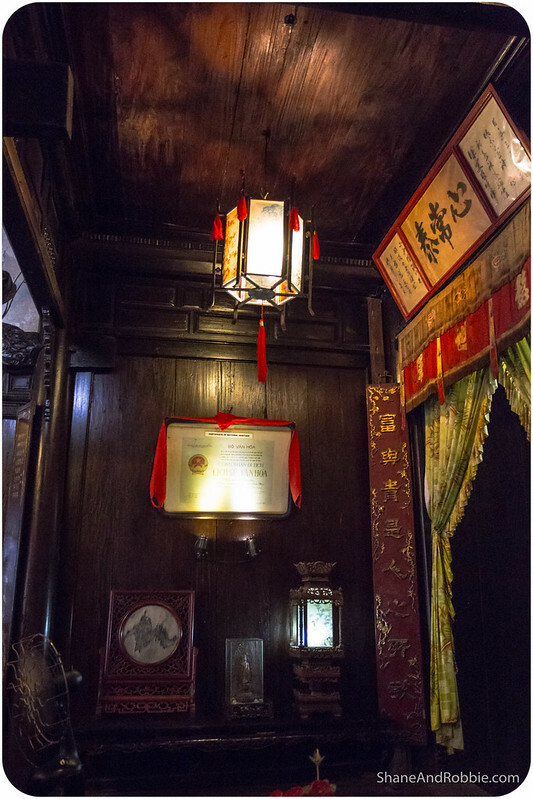 Chinese poems written in inlaid mother-of-pearl hang from some of the columns that hold up the roof. 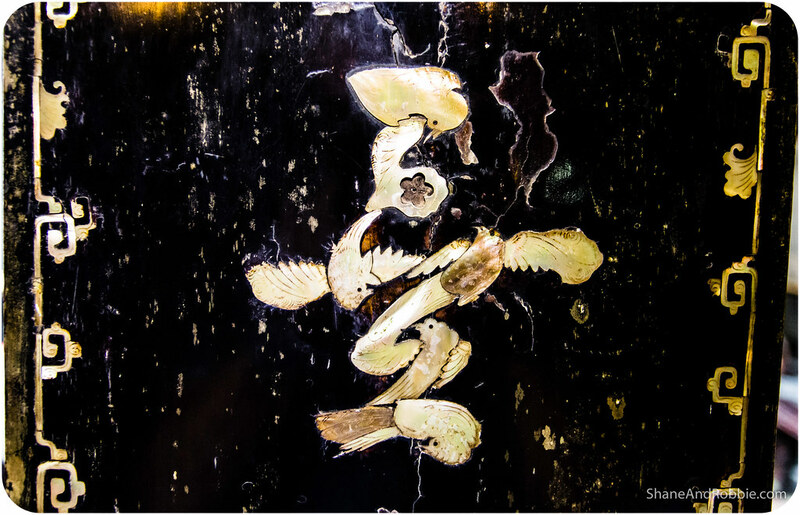 The Chinese characters on these 150-year-old panels are formed entirely of birds gracefully portrayed in various positions of flight. 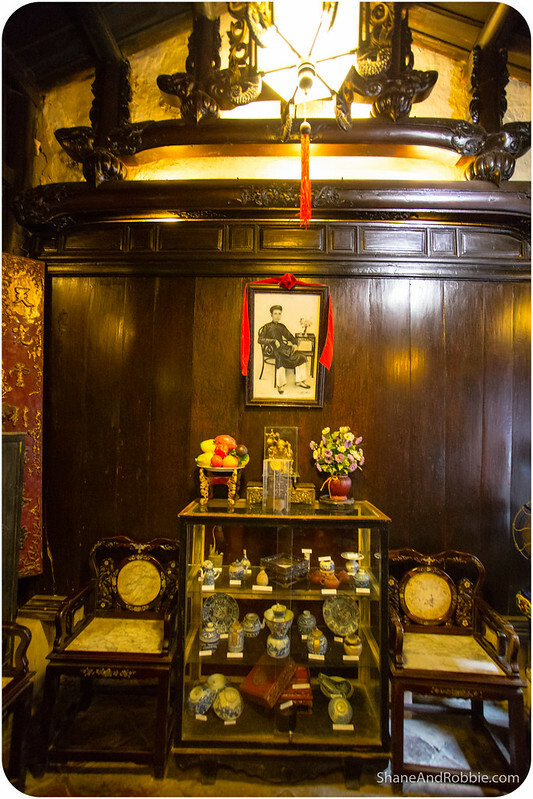 There were 5 main areas in the Old House of Tan Ky, all of them are small in size, but packed with various beautiful antiques mainly made of wood. The front areas was for welcoming visitors; the next a living room; then there was an inner courtyard, behind which was the communal family bedroom; and then at the very back, was the kitchen area. Only the bedroom and kitchen areas were off-limits, with the rest of the house generously open for us to explore. 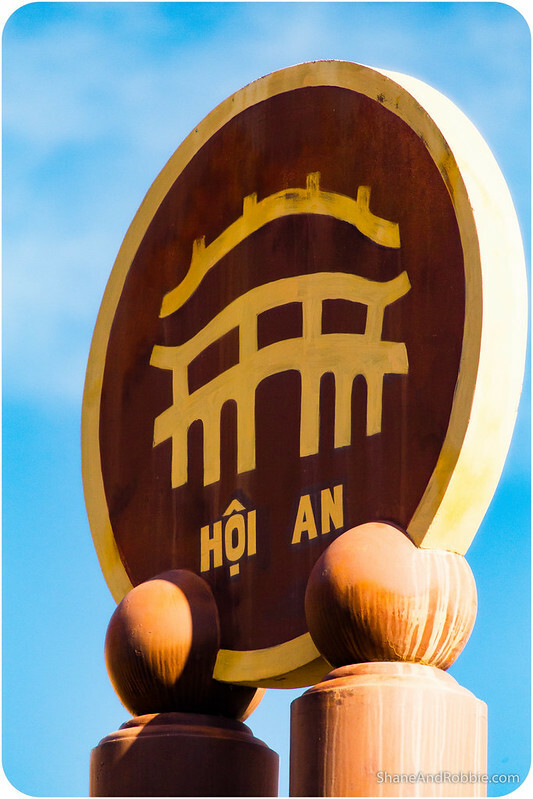 There are also a number of temples or “assembly halls” within the old town of Hoi An. 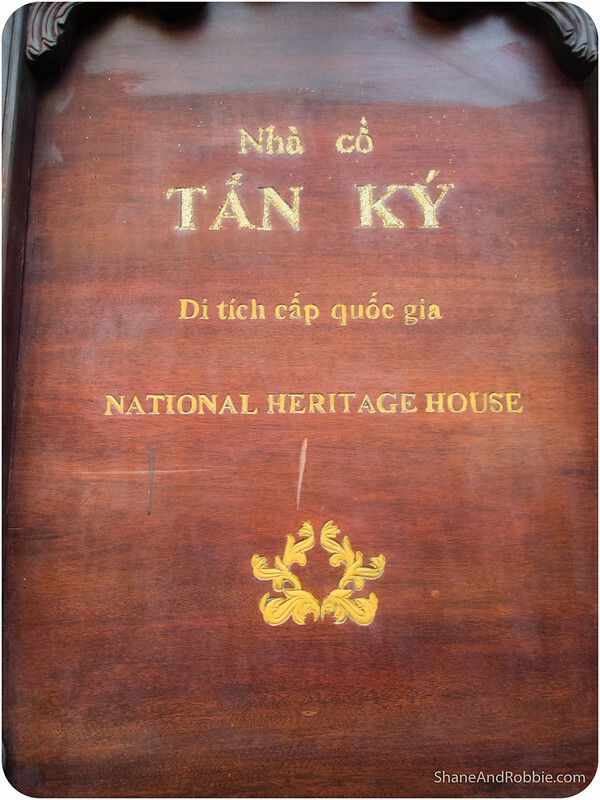 Some of these were built to cater to the needs of the resident Vietnamese population, others for the Japanese merchants, and still others for the Chinese community. 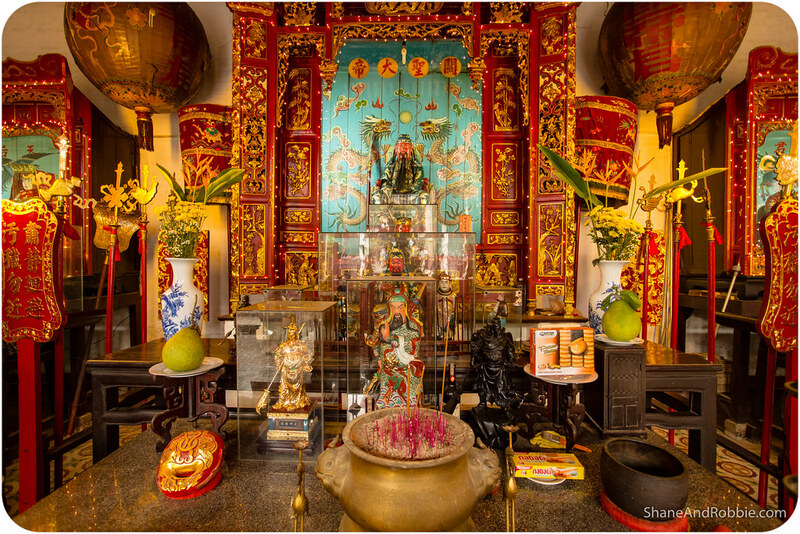 Quang Trieu temple was one of the latter, used by the Cantonese inhabitants of Hoi An. 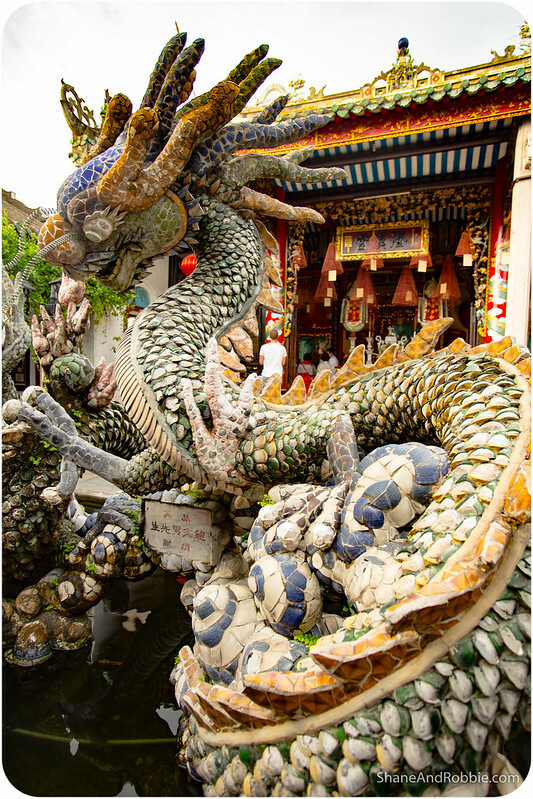 The temple complex of Quang Trieu is centred around an amazing dragon fountain made of pottery, and is made up of a number of pavilions and an entrance hall. 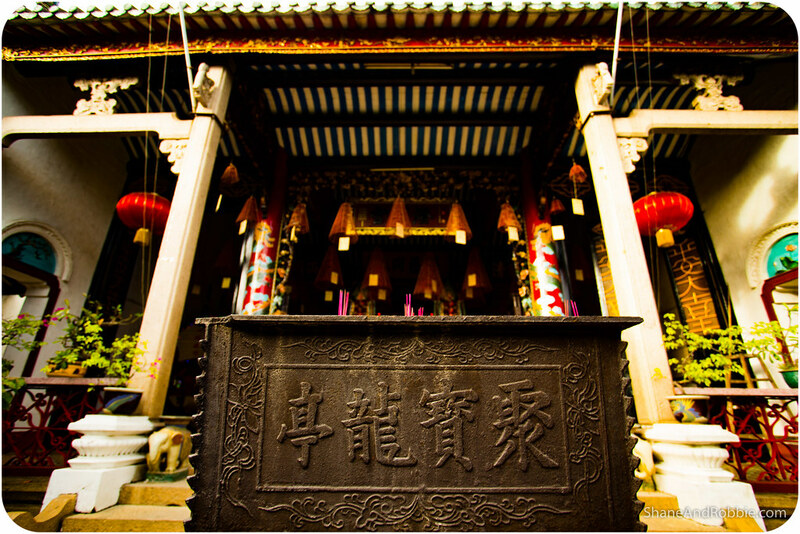 Four Chinese characters, meaning “Quang Trieu Assembly Hall”, are embossed on the upper part of the entrance gate and throughout the temple there were images of dragons, lions, and flowers. 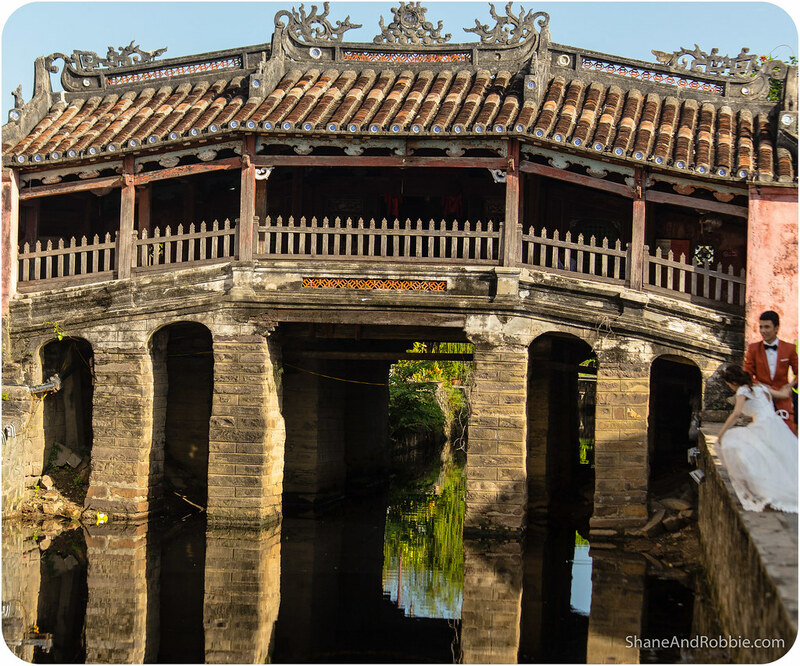 The most famous of Hoi An’s old buildings, however, is the Japanese covered bridge. 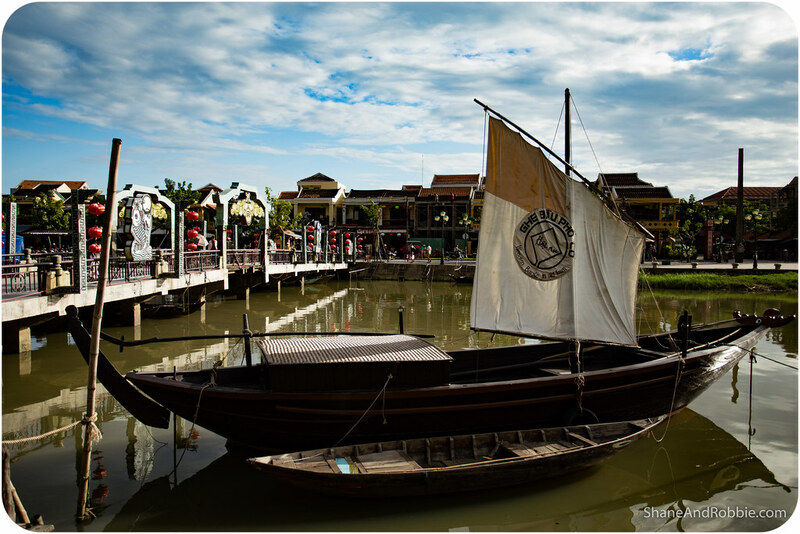 This 16th century wooden bridge is so iconic that it is used as the symbol of Hoi An. 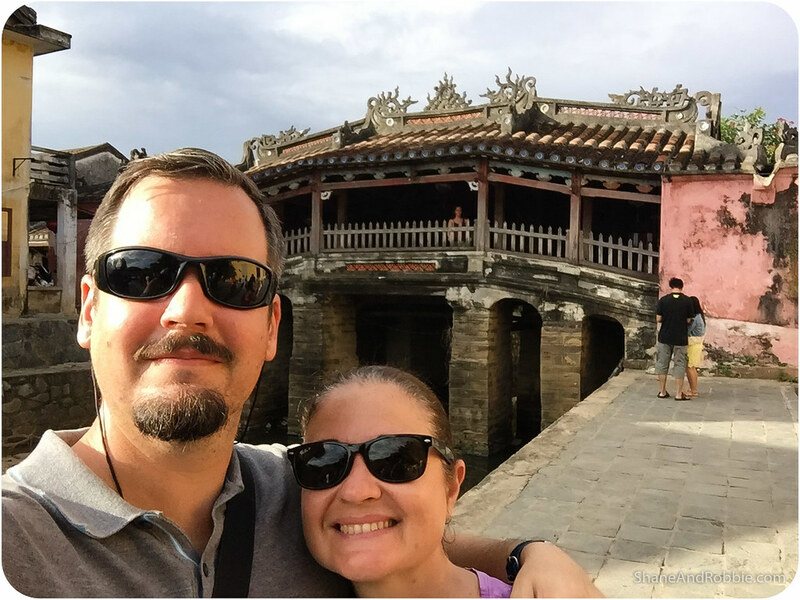 This beautiful little bridge was constructed in the 1590s by the Japanese community in order to link them with the Chinese quarter across the stream. 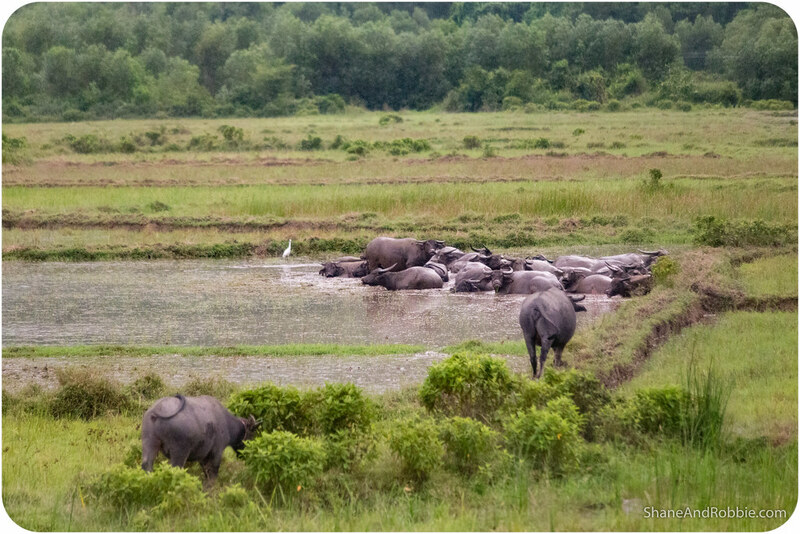 The structure’s solid construction has allowed it to survive the ravages of war, progress, and even a few earthquakes over the centuries. 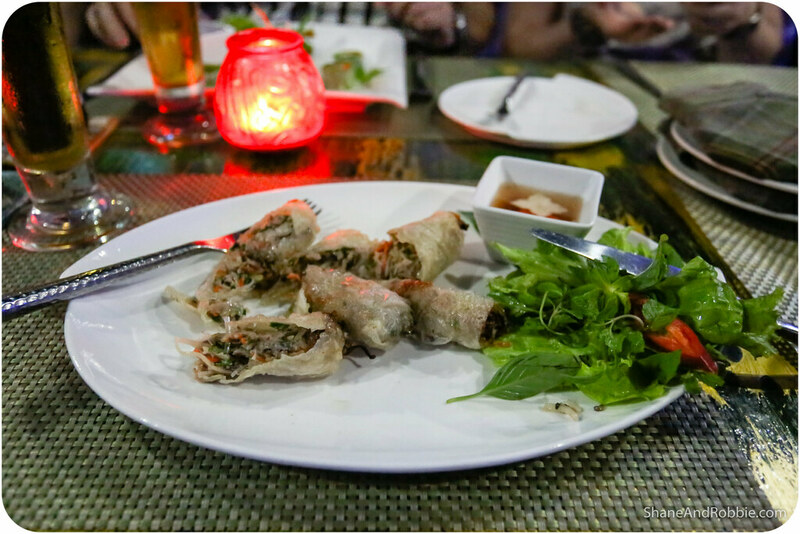 By the time we had finished our explorations the sun was setting and our bellies were rumbling, so we stopped in to a local restaurant for dinner (which was outstanding, as usual). This really is a gorgeous city, despite the press of tourists here. 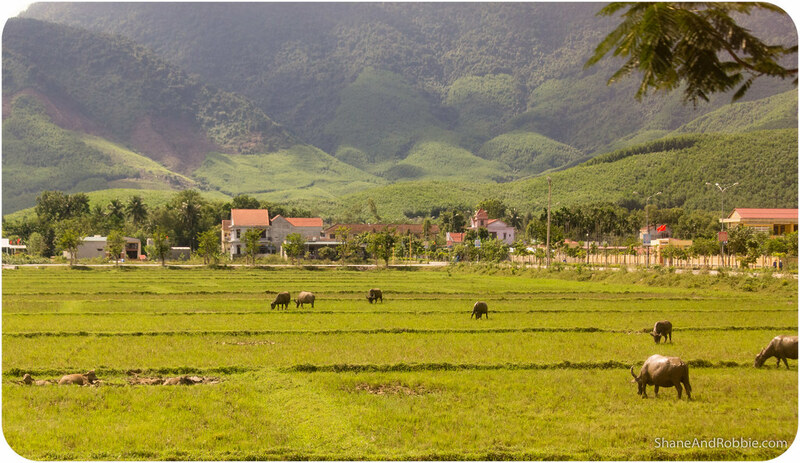 It’s a tragedy to think that there were once beautiful towns like Hoi An dotted all the way along the Vietnam coastline, before war with the French, Japanese, Chinese, and then the Americans ravaged the landscape.